The biannual, invitation exercise will take in areas near Aksaz in the Eastern Mediterranean between 7 and 16 November 2017. 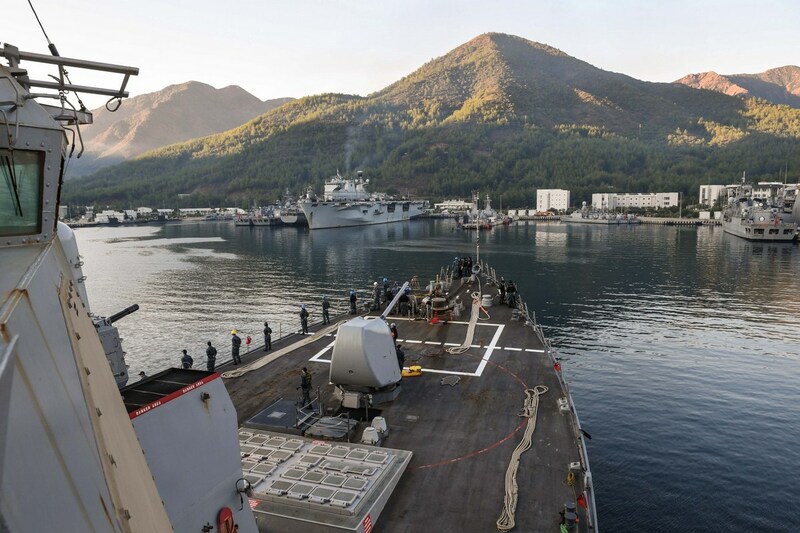 Turkey has invited the NATO Standing Maritime Task Force-2 (SNMG-2), the United States and Romanian Naval Forces. They will join the Naval Forces, Air Forces and Coast Guard elements from Turkey. 25 warships and submarines 27 helicopters and airplanes and 3500 personnel from 5 participating countries will take part in the exercise. The exercise is a multinational maritime exercise designed to improve combined combat capabilities, increase operational capacity and strengthen relationships among NATO allies. An important part of the exercise will be the attempts to provide coastal safety during disasters by means of disaster and emergency operations, search and rescue, humanitarian aid and air sanitary evacuation procedures. The command, control and communications capabilities of the newest amphibious ship of Turkish Navy, TCG Bayraktar will be tested and evaluated in this scenario extensively.